Have you heard of a soap saver? I hadn't until recently. 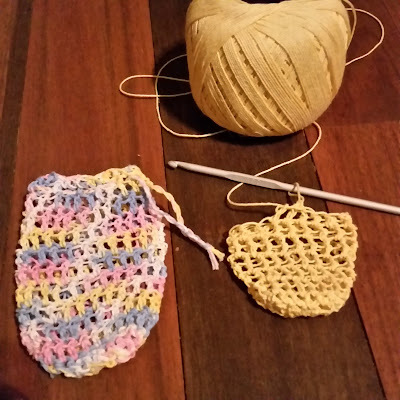 A friend mentioned to me that she was putting the small bits of soap in a sock and that I should think about crocheting a little bag instead. And then they keep popping up on social media, so I thought I would give it a go. Am I the only one who hoards the little end bit of soaps that are too small to use? I have a bit of a collection of them. So I whipped up a little soap saver sack and filled it up with a few odd soap ends and I'm very pleased with the results. If you can do basic crochet, they are very easy to make, but you can also knit or sew a simple soap saver (or last resort - use an old sock!). I used cotton yarn from the local market. You could use any yarn. 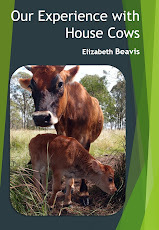 I liked cotton as it can be composted (wool, hemp, bamboo or sisal would also be compostable). To make the tie, just cut three pieces, plait them and thread through the second row from the top (you could also use a ribbon). The simplest would be to crochet or knit a square (or cut out a square of fabric), fold in half and sew up two sides to make a bag, then use plaited yarn or a ribbon to tie the end. You could also knit using double pointed needles and then finish off the end like a sock end (see my sock instructions here). 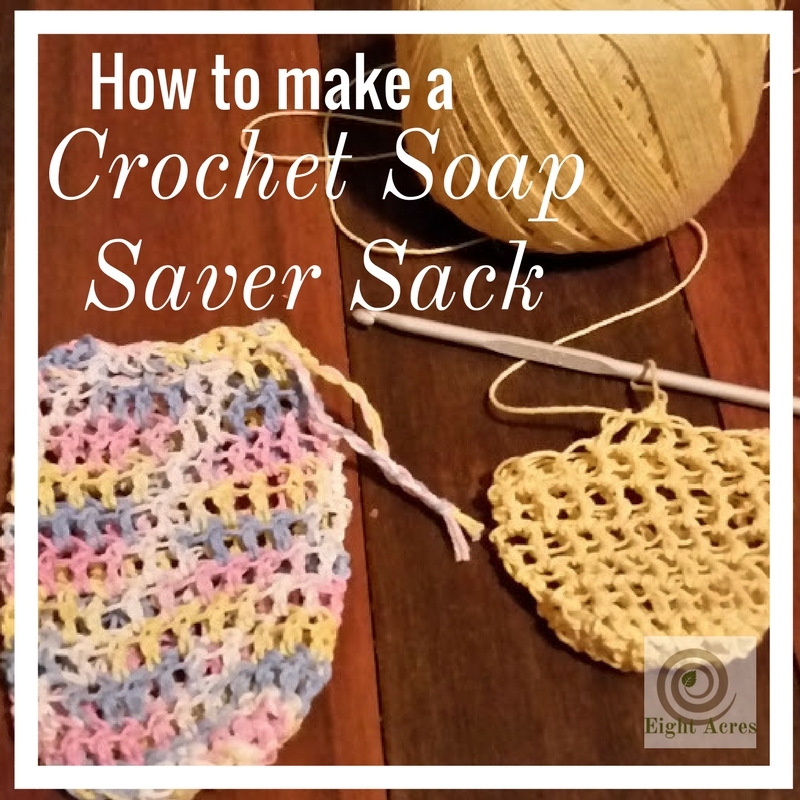 The soap saver can be as pretty or as functional as you want, so its a great beginner project. Have you made a soap saver? Do you have the ends of soap? I can't throw them out, I know how much effort went into making them! 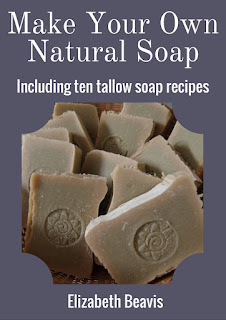 I mentioned these on The Home Maker forum last week and a few of the members make them but I was looking for a soap saver that would dry out quickly as the homemade soap doesn't like being wet all the time. Yours looks like a great pattern, Liz. I will give it a try. I make lots of soap and so have the little bits left over too. I just throw them in my laundry wash or scrub my toilet with them. Wow. Handy. Will have to bookmark. I have one of these in the caravan shower. It means that when we are on the road the soap is in its bag looped over the shower head. Hubby cant do a lot of bending and he doesn't just go and get another bar of soap. It really is a soap saver.